Bethany Pearce, Senior Travel Consultant at our Bournemouth travel agents in store at Beales, recently visited destinations on both coasts of America. Here’s what her wonderful trip entailed. Our first flight was to San Francisco from Heathrow terminal 3 with Virgin. I checked in the day before so when I got to the airport I just needed to drop my bags off, which was very quick. We were then lucky enough to see the Clubhouse lounge, which is available to upper-class passengers and open from 06:30 unto 22:30 or last flight. You get complimentary food, beverages, newspapers and even selected spa treatments, plus additional spa treatments or beauty treatments that you can pay for. There are many areas for passengers to sit whether you would like peace and quiet or a more upbeat stay. The flight was on the Dreamliner and took 11 hours and 25 minutes. I was in economy but there is a choice of Premium or upper as well. I had very good legroom at 31 inches and a nice sized TV. The food was very good; I had lunch and a light snack with a pasty half-way through and complimentary drinks. Our next flight was from San Francisco to Los Angeles, but unfortunately, we arrived three hours late due to there being a runway down at both airports. We flew on a smaller Delta Connect aircraft but it was very comfortable and the flight only took 52 minutes. We also received a complimentary drink and bag of pretzels. Next, we flew from Los Angeles to Orlando on a delta flight, which took five hours. It was comfortable and we got a free drink but had to pay for food with the price of a sandwich starting at around $5. It might be a good idea to get something before you fly. Our return flight was from Orlando into Gatwick. This was one of Virgin’s older planes, however, they have ordered a lot more and their plan is to have a fleet no older than 5 years old. The flight should normally take around 8 and a half hours, but because we had the wind on our side it took 7 hours and 25 minutes. As I was very tired after a busy week, I fell asleep as soon as I got on the plane and missed dinner. We stayed three nights at the Handlery Union square in San Francisco - a three and a half star accommodation right on union square. It’s a perfect location from which to explore the city; there’s a tram stop about 300 yards away that can take you around the city or the bus is right there too. This hotel is one of the only hotels in San Francisco to include breakfast in their price. The rooms were big and spacious and you can opt for a room with a view at an additional cost. We also saw the Sheraton in Fisherman's Wharf. Again, it was a lovely hotel, about five minutes’ walk from Pier 39, but I would prefer Union square as there is a lot more to do and it’s easier to access the whole city via trams, buses and taxis. We were also shown around the Fairmont San Francisco, a five-star hotel around five minutes’ walk from Union square. In Los Angeles, we stayed for two nights at the Jamaica Bay inn, in Marina Del Rey (around 15 minutes from Santa Monica). This is a very pretty hotel overlooking the marina and beach. There are a few shops and restaurants close by and it’s a five-minute walk to Venice beach. It is a great base for Los Angeles as you can get the bus into Downtown Hollywood, Anaheim and Santa Monica. Some rooms have a sea view at an extra cost and a few have balconies. We had a standard room but this was very large with two queen beds and lots of wardrobe space. This room would be good enough for any length of stay. The hotel has a Restaurant and bar which is located outside, next to the pool area. In Orlando, we stayed at the Sapphire Falls resort in Universal, a great four-star hotel located around five minutes’ boat ride from the two main parks of Universal. The hotel is very large, with 1000 rooms located in three separate areas. Our room was big with two queen sized beds, a very reasonable bathroom and a great view of the pool. We didn’t get to see them but there are Universal view rooms and larger family rooms available. On our first day in San Francisco, we went to Pier 39 which is full or restaurants, fairground rides and shops. We boarded the Bay Voyager for a two-hour excursion around San Francisco Bay, taking in Alcatraz and the Golden Gate Bridge. Our second day included a trip to California Academy of Sciences. This building is the only living building and it houses an aquarium, planetarium and natural history museum. The academy is located in Golden Gate Park, which also has the De Young Museum - a fine arts museum with great views over the whole of the city. Today we used the hop on hop off bus, which is a great way to get around the city. In Los Angeles, we first had a walk to Venice Beach, which is around 10 minutes’ walk from Marina Del Rey. We went on a two-hour Hornblower cruise around Marina Del Rey, including a fabulous buffet lunch and free flowing champagne whilst enjoying the amazing views. Unfortunately, the day we did this is was very foggy, so we did not get to see much. This trip is great for a special occasion, though. Later that evening, we went to Santa Monica Pier for dinner. It was still foggy but I bet the views would be amazing, especially at sunset. On the pier, you will find many restaurants, shops and rides. The main attraction is the Ferris wheel, but there is a rollercoaster and other fairground rides too -which were lots of fun! Santa Monica is a 20-minute taxi ride away from Marina Del Rey. 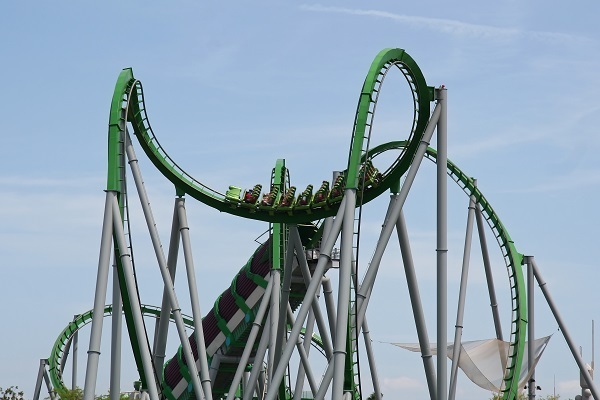 In Orlando, we got to experience the VIP tour of Universal Orlando and Islands of Adventure. We had the whole day with a tour guide, who took us to all the main rides where we got to jump all the queues and go straight onto the rides. This a great experience, but at $3,000 for a private tour, it’s not cheap. Even though we only had one day in the park, we managed to get a lot done and even went into some of the control rooms! We also got to experience the new ride ‘Race Through New York Starring Jimmy Fallon’ which is wasn’t officially open yet, though it is now. And in the evening, we ate at the Hard Rock Cafe in a private room with an amazing buffet. I had two favourite days. The first day in San Francisco when we rode the cable cars to Pier 39 and went on a cruise around the bay of San Francisco - that was a great experience. The second was our day in Universal Orlando when we had VIP passes and managed to get on all of the rides. I would recommend this trip to all of my customers, as these are some of the most popular destinations in the US and the world. 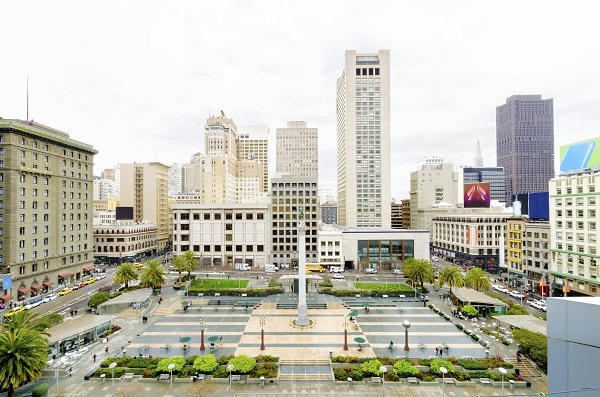 San Francisco, Los Angeles and even other nearby destinations can all be done in one trip, but I would recommend staying longer than I did as there is so much more to see. For holidaymakers who love to explore, these are perfect places. It was a great trip. You would definitely need longer in Los Angeles, as we didn't even touch on what you can do there. But it is a great place to be based if you want the beach. 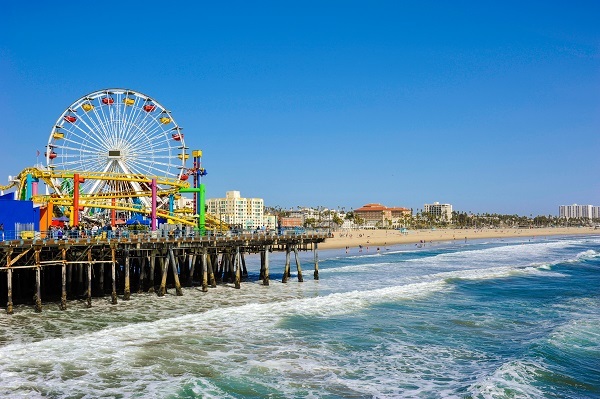 It’s cheaper than Santa Monica and major attractions can be accessed via the hop on hop off buses or taxis. If you would like to visit any of the destinations that Bethany stayed in, we can help to plan your dream holiday. Drop by any of our travel agents on the south coast or East Anglia and speak to one of our friendly specialists.